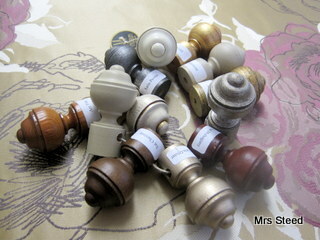 Curtain poles can be supplied in a myriad of colours & finishes to suit all room styles & budgets. 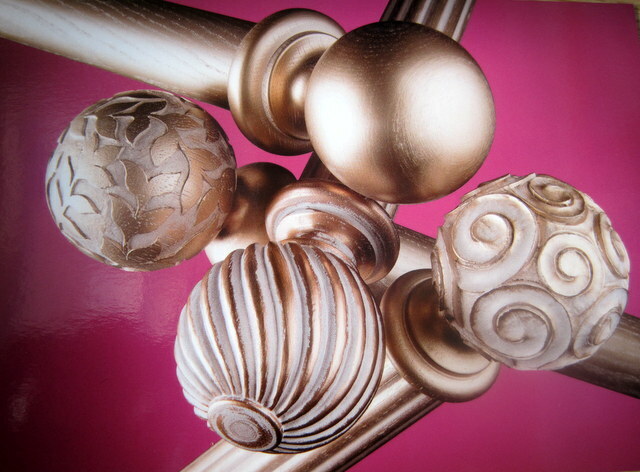 Please contact me for stylish, quality curtain poles. I am delighted to be able to offer the Museum range of handcrafted curtain poles which come in a beautiful variety of colours & finishes. 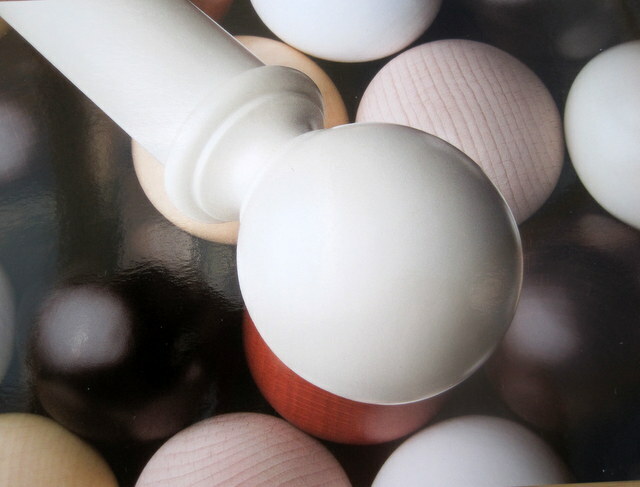 These poles are suitable for classic or contemporary settings due to the choice of pole sizes (35mm, 45mm, 55mm), selection of elegant finials & a choice of wood or metal brackets. The paint effects used on this range of poles are stunning; offering a choice of flat heritage colours or subtle metallic lustre by using Dutch metal leaf or Aluminum leaf gilding which is then waxed to give a hard wearing protective finish. Please do get in touch with me if you would like to see this or any of the other wood or metal curtain pole ranges that I offer.